Psych tips for how to promote change in yourself. Interested in a psychological tune-up — either for yourself or someone else? Here are 8 tips from recent psych studies covered here on PsyBlog. The first four tips below are about how to promote change in yourself. Click through to page 2 to find out how to change other people (link at the bottom). When given advice about how to change, people are often automatically defensive, trying to justify their current behaviour. A very simple exercise — self-affirmation — can open up people’s minds to behaviour change. A self-affirmation exercise simply involves thinking about what’s important to you — it could be family, work, religion or anything that has particular meaning. When people feel self-affirmed, they find it easier to accept the possibility of change. Believing it’s possible to grow and change is a vital step in promoting change. and they were also in better physical health. Psychologists call this a ‘growth mindset’. 3. Can your personality really change? In the last 15 years, though, this view has shifted. Instead of personality being set in stone at 30, now evidence is emerging that there is some change. This study confirmed that people’s personalities do change, even over a two-year period. Indeed the degree of personality change in those two years was equivalent to shifts in other demographic variables such as marital status, employment and income. It may be possible to deliberately ‘forget’ long-standing habits, according to recent experiments carried out at Regensburg University in Germany. They found that merely telling yourself to forget about a habit after performing it may prove helpful. Firstly, the person has to be open to the possibility of change. People can be very defensive about their habits; behaviours or patterns of thought may have taken years to develop. Secondly, be warm and supportive. Remember you’re a helpful friend who is interested in their well-being but is still accepting who they are. Thirdly, help them develop self-awareness. 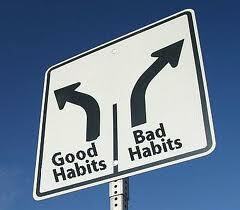 A central feature of habits is that people perform them unconsciously and repeatedly in the same situations. A vital step in changing a habit, then, is identifying the situation in which it occurs. You can help other people identify the situations by gently pointing out what seems to prompt them to perform the habit. Changing someone’s mind is just as hard as changing their behaviour. But one useful tip is to use self-persuasion. Let people talk themselves around to your point of view. In this recent study, people were more convinced by a talk when they gave it themselves than when they merely heard it passively. This suggests that we really are persuaded more strongly when we make the argument ourselves, even if it isn’t in line with our own viewpoint. The same trick works with attitudes to smoking. People are more put off smoking when they deliver an anti-smoking message than when they passively receive it. Can you encourage someone to convince themselves to change? One major psychological barrier to changing the mind is the confirmation bias. The confirmation bias is the fact that people search for information that confirms their view of the world and ignore what doesn’t fit. You have to try and think up and test out alternative hypothesis. Sounds easy, but it’s not in our nature. It’s no fun thinking about why we might be misguided or have been misinformed. Try to point out facts that don’t fit to the other person. Changing people’s minds isn’t just about telling them they are wrong; if only it were. To be convinced people need to hear an alternative account. → Read all 8 ways to change people’s minds here. Categories: success | Tags: change, habits, influence, psychology, routine, success | Permalink.